Bananas and Nutella, what a wonderfully, delicious combination. 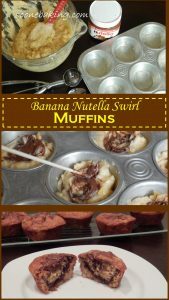 Here is a recipe and photo tutorial of delicious, melt-in-your-mouth BANANA NUTELLA SWIRL MUFFINS. 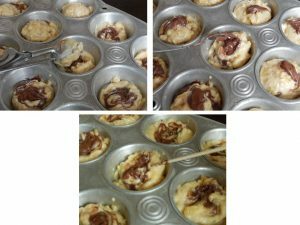 Preheat oven to 375 degrees F. Grease the bottoms only of the muffin tin. In a large bowl, combine dry ingredients. 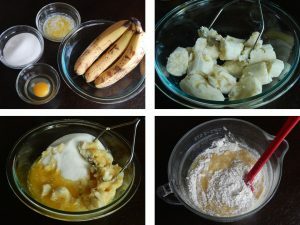 In a medium stir together mashed bananas, sugar, egg and butter; mix well. 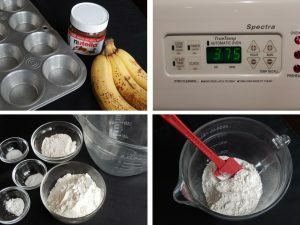 Add banana mixture to dry ingredients, stir together until just moistened (do not overmix). 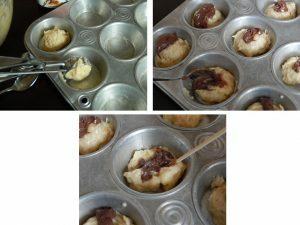 Fill bottom of prepared muffin cups with 2 Tbsp. of batter, then top with 1/2 tsp. Nutella, swirl using a toothpick. Top with 2 more Tbsp. batter and 1/2 tsp. Nutella, then swirl using a toothpick. 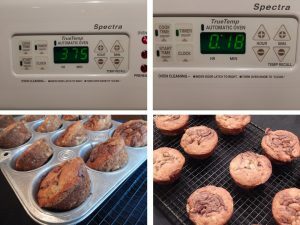 Bake at 375° for 18-20 minutes, until a toothpick inserted into the muffin comes out clean, or the muffin interior reaches 210 degrees F. Remove from the oven and immediately turn the muffins up on the sides so that the steam can escape from the muffin tin (this will help prevent soggy bottoms). 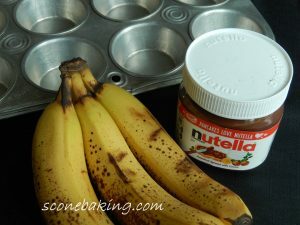 Cool in muffin tin 5 minutes, then move to a wire rack to cool completely.